Firstly, we offer a wide selection of dabbers for our customers. Our opinion is that each dab wand should be as unique as its owner – while also being a completely functional piece of art. This is why most of our dab wands are one-of-a-kind pieces of art in and of themselves! Some people prefer a dab wand that is made of metal and resembles a piece of surgical equipment. A dab wand that looks like a pencil, crayon, finger, or knife is always awesome. A great dab wand can just be a piece of clear glass. 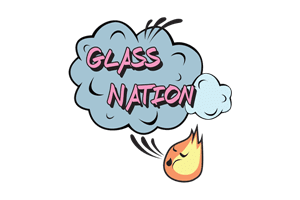 We at Glass Nation go the extra mile to ensure each dab wand we offer for sale is both beautifully-crafted and highly-functional… made with excellent materials by artisans who know their craft inside and out. We hand pick each and every dab wand you see below. If you need help selecting the right dab wand, let us know! We are here to help.